The past month ended with Ethereum at a steady increase in price. The past few days have been characterized by a steady increase in the price of Ethereum. This past Sunday and Saturday, the day’s high were $700. There were circles of upward trends followed by brief downward correction attempts. The market continues to move toward the $713.24 resistance level. Will Ethereum Exceed $700 Today? Over the past week, the price of Ethereum increased on most days but the bullish trend to $700 during the weekend was astonishing. However, the upward momentum is slowing down as Ether struggles to cross the $713.24 mark. The bullish trend acts as a rising support level that is preventing Ether from dropping in price. 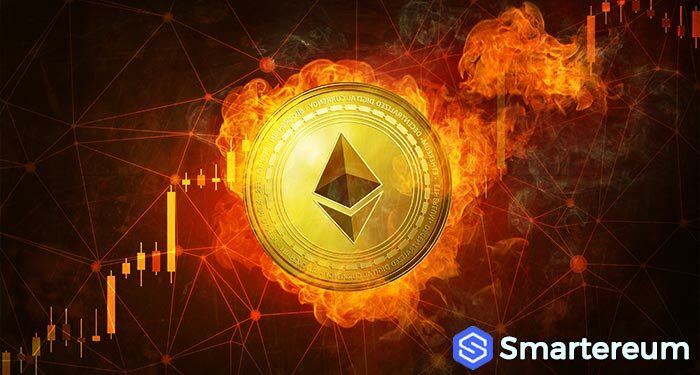 As the price keeps moving forward, analysts believe that Ethereum will test the resistance around $713.24 in the coming week. However, this level will most likely be broken and tested again within 24 to 48 hours. Currently, Ethereum’s price is above the 50 and 100 day SMA. Also, the 59 day SMA is presently above the 100 SMA. This indicates a bullish sentiment in the market. The price of Ether fell near the uptrend level making a bullish crossover evident. The 50 day SMA has passed the 100 day SMA. On Thursday last week, there were several bouts of bullish bursts accompanied by bursts of downward price correction. These bursts along with the upward sloping trend line, indicate a steady upward trend towards the $713.24 resistance level. The price of Ether is moving steadily along a commendable upward trend line. This has been ongoing for the past few days. Although it is yet to exceed the $700 resistance level it reached during Saturday and Sunday trading, there is enough evidence of an upcoming upward trend towards $713.24 within the next 24-48 hours. This is a good come back in cryptocurrency market. Ethereum has displayed exceptional strength over the past few weeks.